Romy Willing has serious plans for the city’s longest serving arts organisation, CoCA Toi Moroki Centre of Contemporary Art. 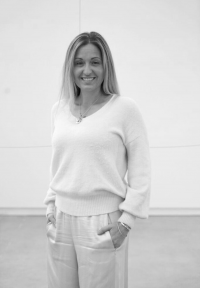 Relocating from Brisbane to take up the position, she has been the Executive Director of CoCA for almost a year and she arrives in Ōtautahi Christchurch with 20 years experience in arts management. Previously, Willing led her own consultation company for numerous arts and cultural institutions, providing strategic planning and audience and project development services to government and businesses throughout Australia. In 2018 she reviewed CoCA’s programme for artists and audiences, and 2019 will see the gallery repositioning its strategies. ‘Changing the way people engage with galleries is also an important part of our new programme. We have just appointed an Audience Engagement Manager to develop and deliver participatory arts experiences that authentically engage audiences with our exhibitions and the wider arts sector. Original generation time 1.0270 seconds. Cache Loaded in: 0.0198 seconds.